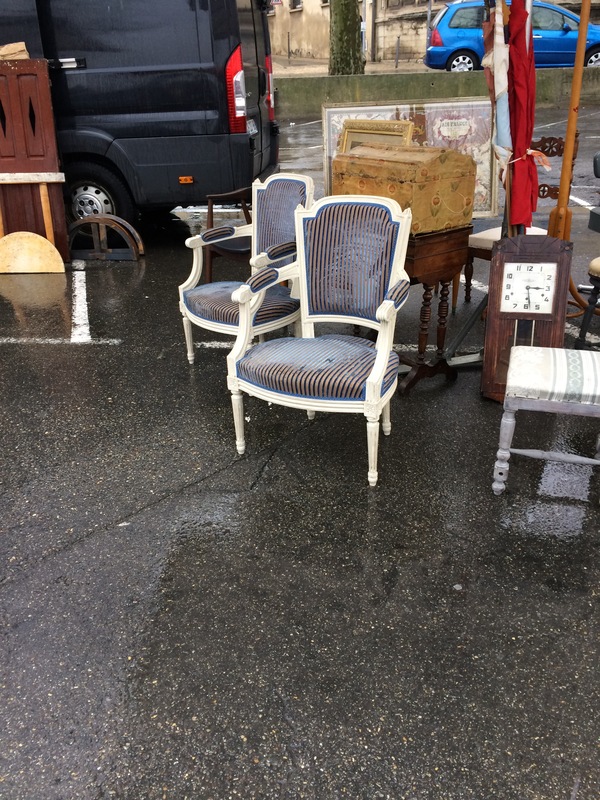 If you’ve been following my blog for a while you’ll know that one of the things I love most about France is the chance to spend the weekends pottering round some of the fabulous local ‘Brocante’ markets. 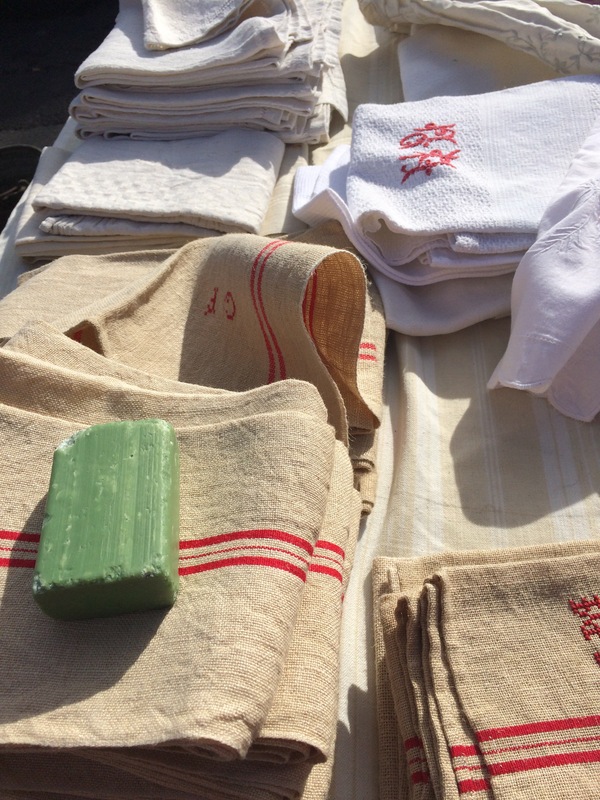 In the Summer the weekends pass by in a blur of Vide-Greniers in local villages & more professional Brocante markets that take over the streets of the small towns near us. But what about Winter? Does everyone lock their vans up in the garage & hibernate until the first signs of summer appear? 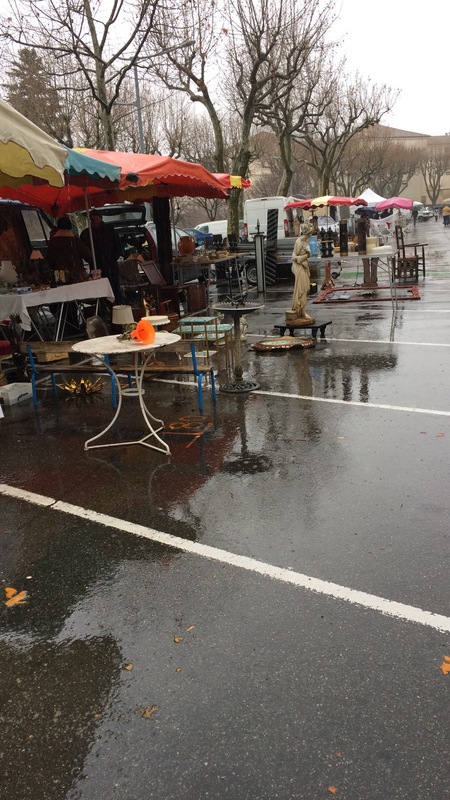 I’m happy to say that they don’t & it’s so nice that the regular fairs still continue come rain or shine -although they are inevitably much smaller when there’s been a heavy rainstorm! 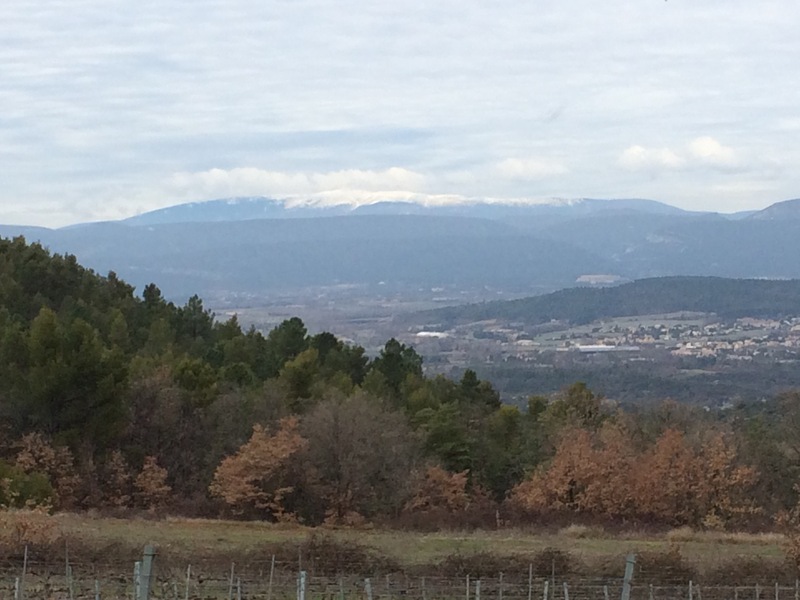 There’s Villeneuve-Les-Avignon & Sommières on a Saturday & of course L’Isle Sur La Sorgue on a Sunday, but the one that is becoming a firm favourite of mine is Carpentras, which takes place every Sunday morning in the Parking des Platanes with its view of the (currently snow-capped) Mont Ventoux. 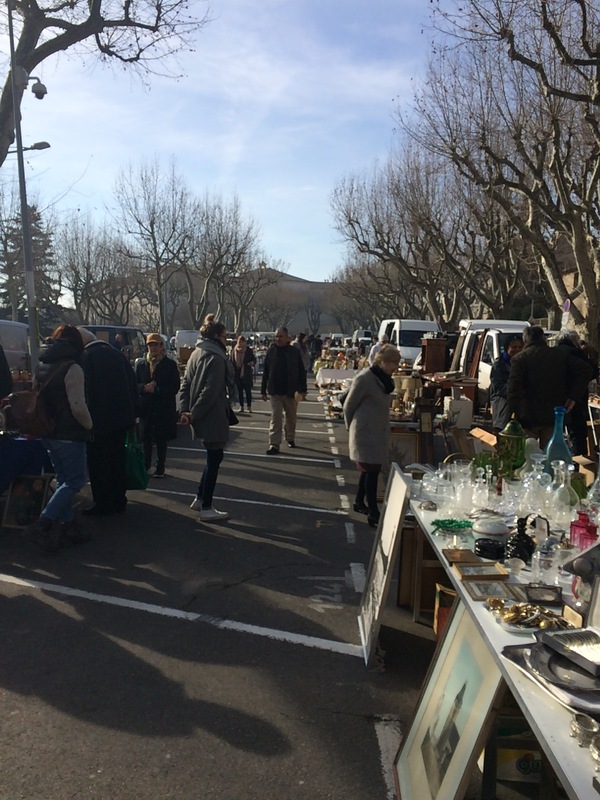 The Carpentras Brocante is a hive of activity and the huge car park is packed with sellers ranging from the professional Brocante stalls to other people who have brought along bits from their own homes to sell. The first time I came I made the mistake of arriving far too early & the stallholders were chatting, drinking wine & coffee and eating pâté around their tables, whilst their vans were waiting to be unloaded. It certainly didn’t have the feel of a similar event in England where there is a brisk trade as soon as the vans arrive! Last week despite stallholders’ best efforts many items got very soggy! This week though it was dry & warm, but there was a ferocious wind, which again called for stallholders to use innovative ways to stop their stock being blown from one end of the car park to the other. 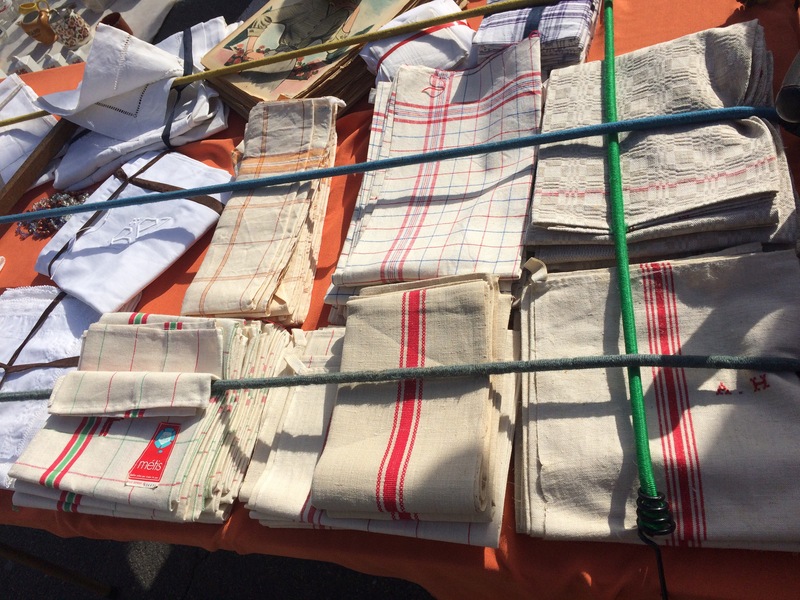 There were the bungee straps……..
And also the bars of ‘Savon de Marseille’……. This technique looked more in keeping with the products! Both of these approaches seem to have been successful, but the same couldn’t be said for other stallholders who were constantly having to lift up paintings that had fallen over or the lady whose whole display rail of fur coats went crashing to the floor, taking part of a table with it. The wind seemed to be the main topic of conversation as I walked round overhearing more than once ‘C’est pas un Mistral’ followed by lengthy discussion about the fact that the wind was coming from the more unusual South Easterly direction. It seems to be that wherever you are in the World the weather is always a good topic for discussion. We always like to take our time wandering around & so far haven’t come away totally empty-handed, whether it’s a piece of furniture in need of a bit of work…. This tiny hip bath will look fantastic on the terrace this summer – I’m so pleased it was still there! The nice thing is that I always feel we’ve come away with a bargain – although I’m sure others would think some of our purchases extravagant or just slightly bizarre. Of course after a couple of hours of browsing I’m in need of a coffee and although there’s a little snack van on site we tend to wander into the old centre of Carpentras to the lovely Maison Jouvaud, http://www.patisserie-jouvaud.com/fr/ a lovely patisserie which does a very good cup of coffee & a great selection of cakes and handmade chocolate. On a Sunday morning the shop is always busy with people coming in to buy a special cake or some of the incredible meringues…..
Or their speciality fruit confit, which is laid out on platters or packed into jars – I really must try some one day! Slowly but surely we’re filling our little house with bits bought during our weekend fuddles around the local markets & of course I’m already looking forward to our next trip! You never know what you’ll find! 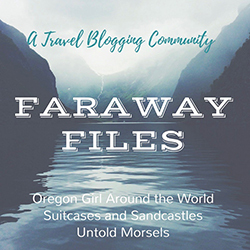 Thanks – am looking forward to getting back there next Sunday, just to see what I can find !